Two web developers from the Netherlands have developed a webapp called Google Naps that helps you find the best locations for a nap. The smart little tool developed by two gentlemen called Kakhile and Venour, is a comic imitation of the Google Maps which lets users share the best places in towns and cities around the globe. 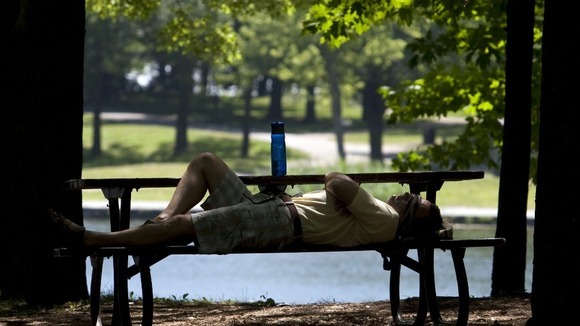 Google Naps instead points out to users their favorite outdoor napping spots like bridges, benches and open fields. Hello, please don’t be mad this is just a joke, a parody. We don’t mean to damage your brand or anything, we just want to bring a smile on the faces of Google fans. So please don’t take this to court, we only have a few hundred Euros in the bank. And we also don’t want to go to jail because we’re too busy with other things at the moment. But whenever you are in the Netherlands you can have a nap on our couch if you want, just e-mail us: kakhiel@gmail.com. We can also make coffee and bake eggs if you like that (for a small price). Google Naps is may seem more funny than useful but data points already cover London and many other cities across the world including the US, China, Indonesia and Brazil. A real possible situation when the webapp could come in really useful would be when you’re on vacation in a foreign city and you badly need to catch some sleep (assuming you don’t want to get back to the hotel). Find out how nap-friendly your city is here.